Did you know that cremated remains are not actually “ashes?” Cremated remains actually resemble coarse sand and are whitish to light grey in color. The remains of an average size adult usually weigh between four and six pounds. 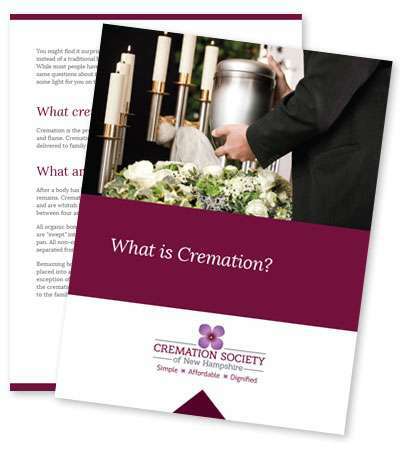 This and several other common questions about cremation and the process of cremation are answered in this free guide, “What is Cremation?” We consistently field many of the same questions about cremation, thus we created this handy download for curious people like you.